How’s that for a jumbled headline of non sequiturs? Or, at least apparent non sequiturs. Let me explain myself. 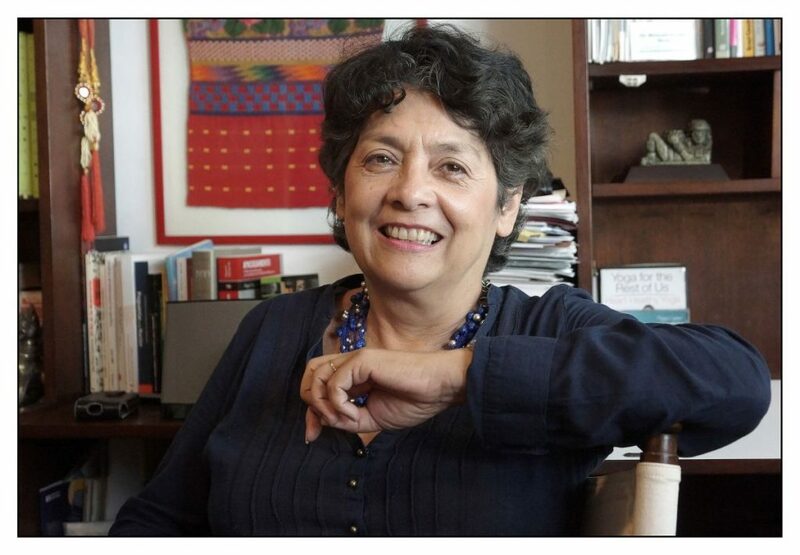 First of all, Margarita López Maya is coming to the San Francisco Bay Area in early March to present at Stanford and also at the World Affairs Council in Santa Rosa. AND ALSO at the Niebyl-Proctor Library at 6501 Telegraph Avenue in Oakland, California, March 7 at 7 p.m.. I’m organizing that event and will introduce her and live-stream it on Facebook. Dr. López Maya is one of Venezuela’s most interesting social historians and if you’ve read my last book, you’ll know she was one of those people in the left opposition of Venezuela who turned my understanding of what was happening there completely around. I hope people in the Bay Area will take advantage of this chance to hear her speak about the effects of populism in Venezuela. The event will also be livestreamed at Caracas Chronicles Facebook page, so you can watch it online. Speaking of Caracas Chronicles (CC), I’ve been away from the blog for a while to do some copy editing behind the scenes for them. They’re one of my favorite websites on Venezuela, or I should say my favorite website on Venezuela in English. If you aren’t keeping up with the great quality posts at CC, you probably don’t know much of what’s happening in Venezuela. Naky Soto, thanks to Javier Liendo’s translation, has a “Daily Briefing” which, though it doesn’t come out daily, is a frequent appearance on the CC scene. The ever brilliant, tongue-in-cheeked Francisco Toro, the executive editor, publishes regularly and ensures that posts always have a funny, quirky, black-humored tinge to them. Emiliana Duarte is another editor who keeps track of real life on the ground in Caracas and fulfills a good part of the mission of the site which, Francisco “Quico” Toro told me once, is to “humanize the situation in Venezuela,” that is, give it a human, very personal, face. They do that with great articles by many, often young, Venezuelans who are suffering through a very dark, dire and dismal situation. Some of the most memorable posts I’ve had the delight to work with are one on the disappearance of books and bookstores under Chavista rule; a great look at Venezuelan Vice-President/mafioso Tareck El-Aissami’s new political police force and others. And you shouldn’t miss Anabella Abadi and Francisco Toro’s stroll down memory lane for a horrifying look at the Chavista Economic ministers, past and present. My own posts there, or anywhere else, have been few and far between. When I was in Colombia for three weeks in January working on projects (to be announced when they’re closer to completion) I wrote two pieces. One was on the baffling–mind-boggling, really– statement that Maduro made about how much the Colombians loved him, and how, if he ran for office in that country he’d win “100% of the vote.” So I did my own little informal investigation to find out from that ostensible 100% around the border what they saw in him. I came up with some, perhaps not so surprising, answers. That article is here. Another post concerned the foreign exchange houses the Bolivarian government began opening on the border in January supposedly to compete with the black market “parallel exchange” houses in Cúcuta. Just in case you might not know, Venezuela has currency controls, the manipulation of which (among other scams) has allowed the “revolutionaries” known as Chavistas or Bolivarians to steal, launder and bank at least $300 billion (according to Chavista Nicmer Evans) and as much as $800 billion, according to a report published yesterday in El Nacional featuring Henrique Capriles. What all this means is that the scarce foreign currency (U$ dollars, in other words) that come into the country from oil sales (mostly), don’t go to productive businesses but rather are handed out by the government to its supporters. Hence the thriving black market. So supposedly to correct this problem, new exchange centers were supposedly opening up on the border to supposedly offer Colombian pesos and even dollars… That post is here, but it needs to be updated with all the evidence that indicates that within one month (or less) it has proven to be an utter failure from the point of view of Venezuelans (probably a great success for the thieves running the country, however).